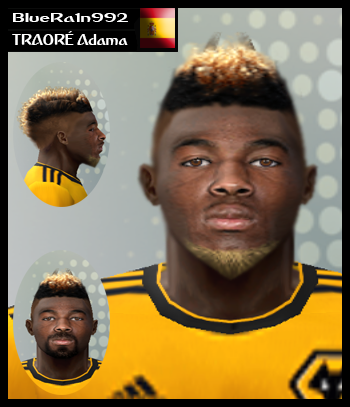 UPDATEPES.com - Adama Traore is Wolverhampton player, to update his face and hair at your Pro Evolution Soccer you have to download it first. Thanks a lot for BR92 to create this update. BR92 is the best PES 6 facemaker.